Gerkin Windows & Doors is headquartered in Sioux city, Iowa and has been manufacturing windows and doors since 1932. Within the industry, Gerkin is perhaps best known for their commercial aluminum windows called the Rhino Series. These windows are primarily sold to builders, contractors and developers. Gerkin residential products are sold through local distributors. Their vinyl windows are available in the following series and styles. 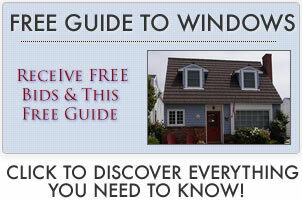 Homeowners can expect to pay $250 to $450 installed for Gerkins windows. The price includes windows and installation. For additional price info from past customers, see our page on Gerkin window prices. This is simply a basic summation of the window warranty — ALWAYS read the entire warranty for changes or for specifics that may apply to your specific window series. In addition, there are some warranties discrepancies that apply to different states so check with the company on this. Gerkin offers a limited warranty. The following applies to vinyl windows and doors on their Comfort Series. Note: the warranty is void if improperly installed. Defective Materials & Workmanship (residental): Limited lifetime to orginial owner. The company will either repair or replace the window. Owner has to pay for removal and reinstall of the window. Defective Materials & Workmanship (commercial): 10 years on frame and components. Seals On Insulated Glass: 10 years. Read more Gerkin windows reviews.